A plastic bags ban for many businesses in Chicago and Evanston officially takes effect on Saturday. 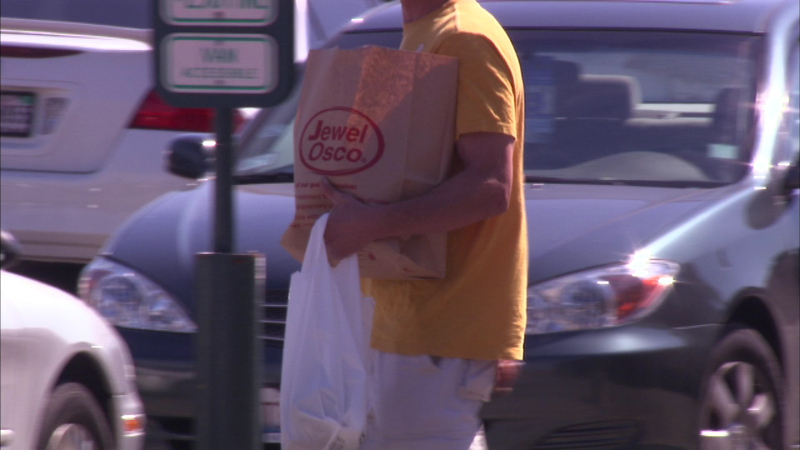 CHICAGO (WLS) -- A plastic bags ban for many businesses in Chicago and Evanston officially takes effect on Saturday. Right now the ban is only for large stores like Jewel and Mariano's. The law says that as of now they can only offer customers paper bags. Smaller stores have until next August to comply with the new regulation.